Ouch! Asia's richest man Wang Jianlin has lost about $13 billion in China's stock market crash. Since Chinese stocks peaked in June, shares of Wang's publicly traded companies have tumbled in Hong Kong and Shenzhen -- eroding his personal wealth. He lost a whopping $3.6 billion in just the past two trading sessions -- roughly a third of his total losses this summer. Wanda Dalian Commercial Properties plummeted 38% since June 12, slashing nearly $9 billion off the value of Wang's stake; Wanda Cinema Line fell by 36%, for a loss of $4.2 billion; and Wanda Hotel Development shares plunged by 49%, wiping another $60 million away, according to an analysis of stock exchange data and filings by CNNMoney. Even before the crash, Wanda Cinema was in hot water, experiencing volatile price swings and even a trading suspension for about two months. The cinema and commercial property firms both debuted on the market in the past year, boosting Wang's wealth. 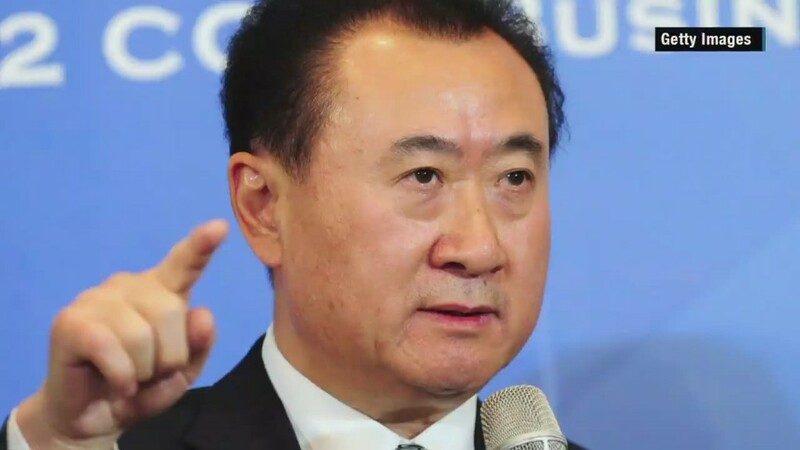 Wang spent 16 years as a soldier before achieving billionaire status by amassing an empire as founder of the Dalian Wanda Group, a conglomerate that operates in real estate and entertainment. His ambitions run far and wide, and recent investments have focused heavily on the entertainment sector. In 2013, Wang spent $1.6 billion to buy British yacht maker Sunseeker, which has built vessels for James Bond films. Prior to that, Wang acquired U.S. movie chain AMC Cinemas for $2.6 billion in 2012. Dalian Wanda is China's largest property owner with over 17 million square meters in its portfolio. The company operates shopping malls, luxury hotels and more.